The San Antonio Quilt Expo was put on by the Greater SA Quilt Guild on Sep 22-23, 2017 and I’d never been to one so I donned my favorite sewing themed tee and headed out. It was at the San Antonio Event Center WAY over on the west side of town, and I live about 25 miles east of SA, so it took almost an hour to get there. Parking is $3 (cheap) and entry was $8. I had a bit of nostalgia going over there because the building is an old furniture store that shares a parking lot with what once was a Cloth World. I worked part time at that store during my days in the military just to make ends meet when I was stationed at Lackland Air Force Base in 1995-96. I was a supervisor in the military then which was its own form of misery which you would understand if you’ve ever supervised government workers, and I remember telling them I didn’t want any responsibilities other than putting away bolts that had been cut, organizing shelves, etc. I loved that job. It definitely satisfied my OCD tendencies to organize and straighten. The zipper racks, threads, and embroidery thread skeins alone could take up an entire evening shift. People are so messy! I was in heaven. I’ve been to the Houston Quilt Festival several times and of course this isn’t anything like that. Well maybe, but just a very, very miniature version. Just my style. I’ve been wanting to get a set of Leader Grips and I needed some batting so I hoped to find vendors there with those items. Plus, I’m always eager to see new quilting stuff like machines, threads, rulers, etc. Right away I ran into a couple of FB friends Mike and Sandy Berish from San Marcos, TX. They have a laser cutter had made a couple of acrylic cutting shape templates for a friend and after I explained the outrageous markup on quilting rulers they were at the Expo on a fishing expedition to see what it was all about. I told him that one thing that is needed in our world that I haven’t seen is a ruler stand for quilting rulers vs. cutting rulers. Cutting ruler stands have slots in them that are a scant larger in width than 1/8″ but a quilting ruler is 1/4″ in width and won’t fit the standard stand. Here is the cutting ruler stand that Keith made me two Christmas’s ago. There’s a couple of empty spots at the top so I must be slacking. Here’s is my current collection of quilting rulers that do not have their own home. They are too thick to fit in my cutting ruler stand. Mike is such a sweetheart he went right home and made me one! He needs to either get them for sale on a web page or start an Etsy shop. Isn’t this awesome?? I can’t wait to put it to use. I’ve decided to make clear covers for my stands to keep my rulers dust free. Or maybe I’ll just staple a piece of clear vinyl cut to size on the back that I can flop over the top. That’s sounds easier. I’ll be honest, I’m not much for looking at other people’s quilts and there were about 300 on display so I only saw those near the exhibit entry. I’m not a big art fan so strolling around in a museum looking at things isn’t my idea of fun unless they are a gazillion years old. History? Yes. Art? No. Abstract art? Hell no. In my book, abstract art is a total waste of time, money, and effort. I tell you this now so you know how I feel about “Modern Quilts”. When I hear the term “negative space” my eyes roll. It’s called a blank spot sweetie. But I guess “negative space” makes it sound intentional and artsy-fartsy. Whatever. To each his own, right? Here’s an example of a modern quilt from the Quilt Expo in Wisconsin. That vast expanse of gray fabric is what modern quilters call negative space. I call it missing something. Now if you love modern quilts or make them, please don’t get all offended. This isn’t about you. It’s about me and my personal tastes on my blog as backwards as you think they might be. I’m good with that. However, I do love me some modern paper pieced lion that was shown at the Quilt Expo in Wisconsin. Who doesn’t? Straight line quilting here – that’s it. A girl (lady now?) that I’ve known since Junior High showed her quilt there. Isn’t it gorgeous? I snagged this from her FB page. I can’t imagine the time this took. The best in show at the SA Expo was an embroidered quilt of all things. I really enjoy embroidering on a quilt and it looks like this was a Quilt as You Go. Stunning. The Hobbs batting vendor was right inside the front entrance. I’m glad I found them because they had samples of all their quilt battings that had been sandwiched, quilted, and washed on display that you could feel and fondle. I’m such a novice, I couldn’t tell the difference between most of them except my usual 80/20 and the wool. Which tells me that my 80/20 choice will suffice just fine for most of my needs. While I needed batting, I didn’t want to haul it around the show with me so I figured I’d hit them up last on my way out. I came across a vendor with a nifty new way of creating HSTs (half square triangles) of all different sizes and she had some templates for $12 each or the whole set for like $150. Her templates are on the same concept of stitching over a piece of paper on the dotted lines and cutting on the solid lines. On hers, you use a thin plastic template to mark lines or Pounce through the gaps in a plastic sheet. Then stitch along the lines and cut between them. Now what kind of a business model is this? Unless you’re making a quilt like the one below, how would I know which size template I need? 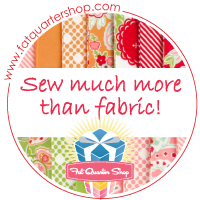 I can see me buying the one that makes a ton of 2.5” HSTs thinking that that should be a pretty common size but of course the next quilt I make will need a ton of 3.5” HSTs and I’ll be like “Dang. I should have dropped the whole $150 to make some squares.” What if I only need 4 HTSs and the sheet wants me to cut 24? Or…what if I skipped this gimmick and cut my own? I moved on. After strolling around the vendors for about an hour, I decided I’d had enough, plus my back hurt and my dogs were beginning to howl (for you non-US readers that means my feet hurt), so I headed back to the Hobb’s booth. The sales lady was chatting with another show goer so I waited politely. And I waited. And I waited. And I waited. Geez, give it a rest already would you two? I’m trying to spend some money over here. As I waited I turned around and spied an Innova booth from a vendor from Richmond, Texas (Jo’s Quilting Studio over by Houston) and they had entire ROLLS of Hobb’s 80/20 just staring at me. The roll said, “Hey, come over here and check me out.” OK, I’m game. My trip to the SA Quit Expo was a total success! I got what I came for and my first quilting experience with the Red Snappers has been super successful. Hard to see but there’s butterflies in that panel. I’ll do another post on the Snappers soon. The BOS was totally done by machine. This is where a ‘traditional quilter’ has to compete with Modern Quilts, Machine Embroidery Quilts and Long Arm quilters “negative space” that you so eloquently stated above, are causing frustration with ‘traditional quilters” who hand embroidery, needle turn applique, hand quilt, and do some domestic and long arm quilting but do not have all that “negative space” in their quilts. Takes a lot longer to make a quilt, and yet they are not acknowledged at most of the shows. San Antonio and New Braunfels used to have great quilt shows. Things are changing. Austin still has a great show. NB and Austin will be in 2018. I gave up on having ruler holders years ago. I have them in one of my Elfa drawers. I like the picture of the quarter square triangle quilt! A bit too busy color wise for me, but more of a traditional quilt. Your computer generated long arm looks neat! No thinking there! Just select a pattern and the quilt is quilted. Easy Peasy. Glad that it is working well for you. You went through a lot to get it going correctly. BTW, I worked at Main Base Kelly from 1966 – 1979 and at Security Service (no telling what it is called now) from 1980 to 1993 and then on to Washington DC for 3 years and home to Main Base where I retired in 1999. Hated to see the base close but they deserved it – too many complaints by the Union and not keeping the records straight helped close the base. Retired as a GS-14! Great Career. Great Retirement. I remember the Cloth World store – went there many many times! In this case on the BOS, I completely agree with you. It was not a quilt but instead an embroidered sandwiched square of plain fabric that was put together by blocks to be a quilt. And even in the image above, the tips of the stars were rolling into the seam allowances. They really need to have different categories where they offer blue ribbons: Traditional / Needleturn, Modern, Embroidered, etc. That would make it fair and encourage everyone to improve their favorite type of the quilting craft. On my Quilt Butler, there’s more thinking that you might think, but it is getting easier. I’m now starting to purchase edge-to-edge pantos from Urban Elementz in New Braunfels, and I can load those into my Quilt Butler. She offers the paper pattern or the digital for a bit cheaper. It truly is the best for me because I do not possess the ability to create round circles or straight lines without rulers. When I get to where I’m taking customers in a few years, I’ll just have them go there to choose their pattern and I’ll buy it or maybe already have it on file. Thank you! I always look for a story in my travels and the things I do. It’s amazing what interesting things you can find when you look. You’re right about the quilting showing up better in negative space and that’s the whole point I believe. I just enjoy the piecing process so much that I just don’t see the point. Another note, I’m so proud of your #2 son off to school all on his own at that age. What an amazing experience! I stumbled across your blog, and I have to say I enjoyed your post. I’m finding that I’m a “moody” quilter- some days I prefer the traditional style, other days I lean towards the modern. Both have their own challenges for us longarmers. I was just at the Asheville, NC, quilt show a few weeks ago, and they group the quilts according to type and construction, so there’s not a “completely hand done” competing against “machine embroidered, computer quilted”. I guess it just depends on how many entries for a show to create enough categories. Anyway, I enjoyed your post.